Inhalers are a part of our home everyday. Our son suffers from asthma. When you need to use an inhaler, you expect it to work as it should. However, there is a current recall on 600,000 inhalers that may not work properly. 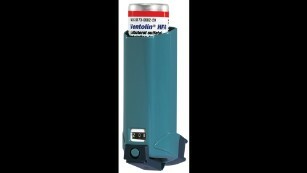 We use this type of inhaler, but our lot number is not affected. GlaxoSmithKline is recalling nearly 600,000 inhalers. It's not a patient-level recall, but patients whose inhalers are among the affected lots can contact GSK's customer service center at 1-888-825-5249 with questions. If the devices are not relieving symptoms, patients should seek medical treatment right away.